Let all hands be on deck as you set sail to a new life filled with laughter, joy, and love. Celebrate your journey of love with these whimsical metal sailboats hand painted with articulate craftsmanship. 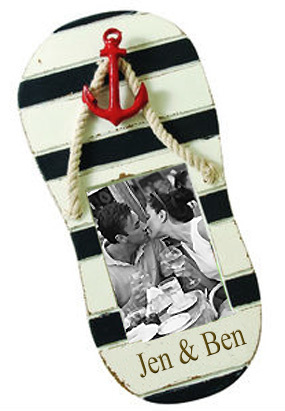 The metal sailboat favor comes in striped and polka dot designs. Are you having a wedding on a boat? 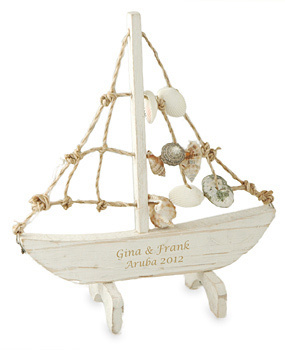 This sailboat favor is the ideal keepsake party favor for guests at nautical theme events. It takes its rightful place on home, office furniture, or on a boat. 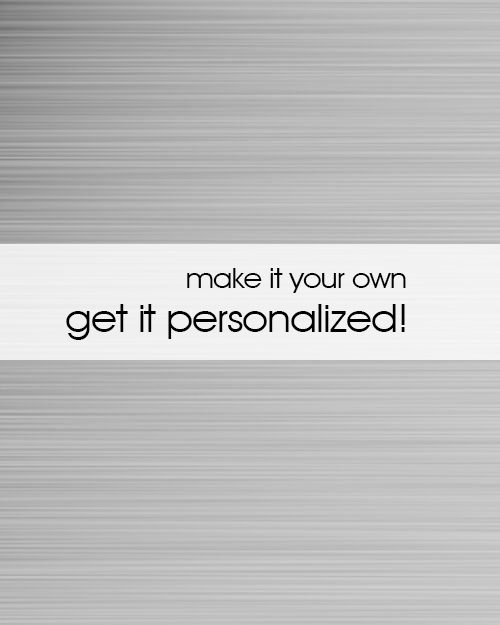 It's a point of attraction to your visitors and is great conversation starter. Have each mini sailboat filled with sweet confections from our selection of Jordan almonds and tasty white mints. For a personal touch, add our life save theme tags with the couples' names and wedding date printed. The mini metal sailboat is a suitable favor for any special occasion. 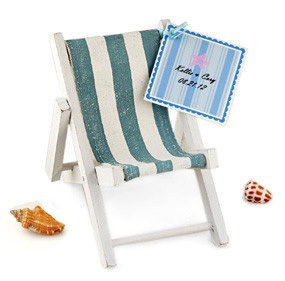 Weddings, Birthdays, Anniversaries, Parties, and Social Gatherings going with the island or seaside theme will benefit.